Setting up your drive-thru lane can be much more straight forward than people think. The key to doing it the correct way is to accomplish certain items in a roundabout order. 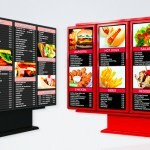 For instance, you wouldn’t order your drive-thru menu board before having at least an idea of what you might be offering. The following steps shouldn’t be considered the same for all locations due to the fact that some may find themselves in “build mode” where others may be taking over a pre-existing drive-thru location, remodeling, or adding to an existing location that has never had the lane. Many of our customers work with General Contractors who will handle this for them, however for those who are even thinking about adding a drive-thru to their location, it isn’t as easy as ordering and erecting. You need to get with your township and apply for a permit. Failing to do so can result in fines and/or removal of your drive-thru equipment. 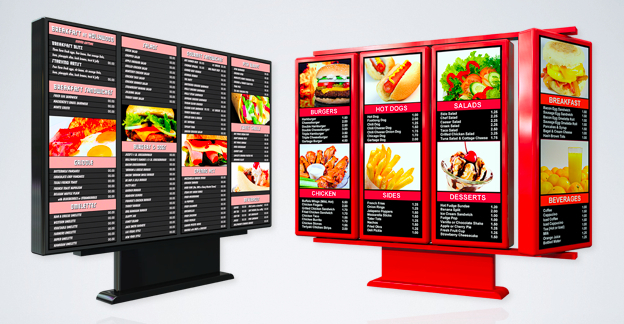 You may think a 2-panel drive-thru will work for you when in fact you’d need a 4 panel to accommodate your menu. Sometimes these types of misjudgments can leave you with less than what you need or push you into a budget that would be cost prohibitive. As long as you have a 3/4 idea of what you might want to offer outside, that is enough to get started. In an a-typical, single lane, single drive-thru location you’d need to get vehicle detection in place as well as the appropriate conduit. In this scenario, a single 3/4″ conduit to the speaker and mic enclosure and another 3/4″ conduit to power the drive-thru would suffice. In addition, you should acquire the bolt pattern for the base so you can have the anchors “ready and waiting.” All of this may require a variety of trades (i.e. electrician, masonry, etc) depending on your lay of the land. Not too complicated right? Sure there may be some oversimplification however other than the permits and budget to accomplish the set up of a drive-thru lane, there are rarely other impeding obstacles in your way. Your lane may take on a different look with canopies, clearance bars, awnings, order confirmation screens, etc that will require more TLC but the process and steps along the way remain mostly the same.